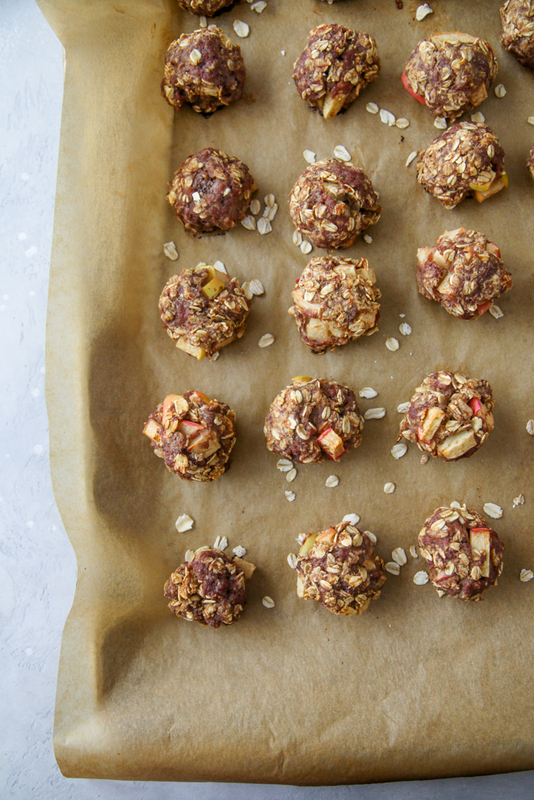 Oats are not just for breakfast! They are game players in all kinds of savory recipes, including meatloaf, soup, quiche, risotto, and meatballs! 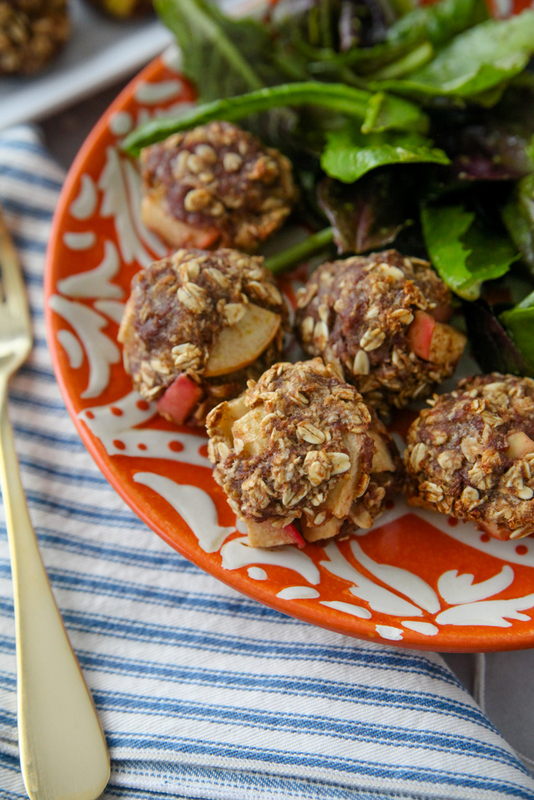 If you are as wild about sweet-savory combos as I am, these Spiced Apple Oat Meatballs are going to be your new favorite prep-day staple. I’ve enjoyed them with buttered noodles, over salads, and simply as they are. Cinnamon and cayenne pepper provide a great spice combination to complement the baked apples and savory meat seasoned with garlic and salt. Oats act as a binder and provide great texture and nutrition. Oats have a unique nutrition profile with a balance of both insoluble and soluble fiber. Experts recommend eating at least 25 to 30 grams of fiber a day from a variety of grains, fruits and vegetables to support a healthy digestive system. A ½ cup serving of rolled oats provide 4 grams of fiber. 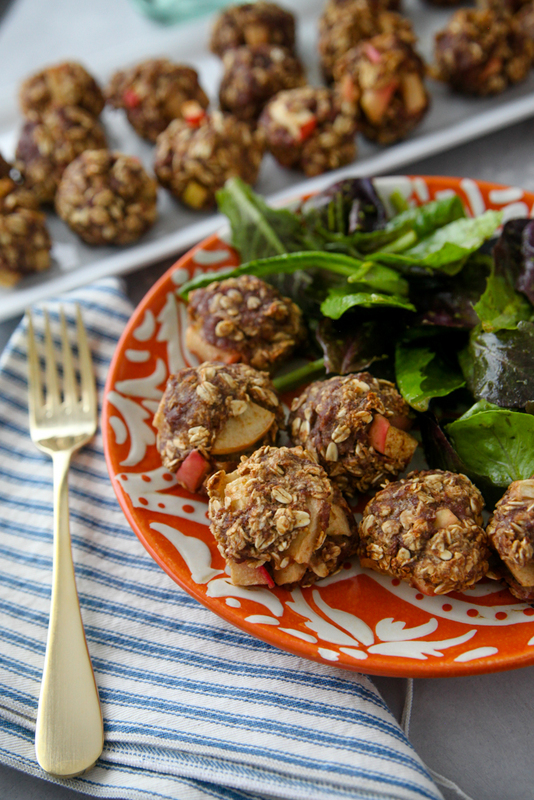 Oats also make this recipe 100% whole grain. The recipe couldn’t be easier – all you need are two bowls. One for the wet ingredients and one large for the dry ingredients. Then mix everything together in the large bowl. I find that clean hands make the best mixer. Then begin to roll the meatballs into 24 golf-ball sized balls. You might have some apples poking out – that is ok! Bake them at 425 degrees for about 25 minutes, until they are browned and cooked through to 160° F per a meat thermometer. 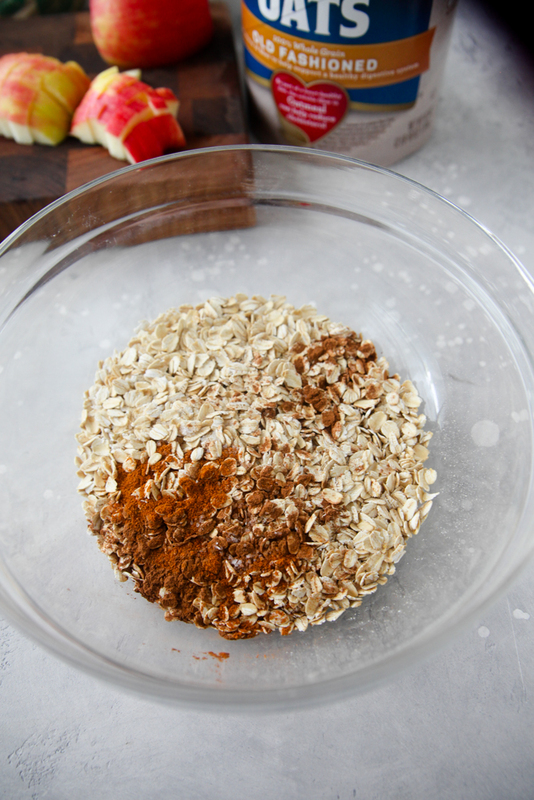 Mix oats, cinnamon, cayenne, and salt together in a large bowl. In another bowl, beat egg and add applesauce, apple, and garlic and stir. Add wet ingredients and meat to dry ingredients and mix well with clean hands. Form into 24 golf-ball size meatballs. 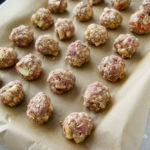 Bake for 25 minutes, until meatballs are brown. 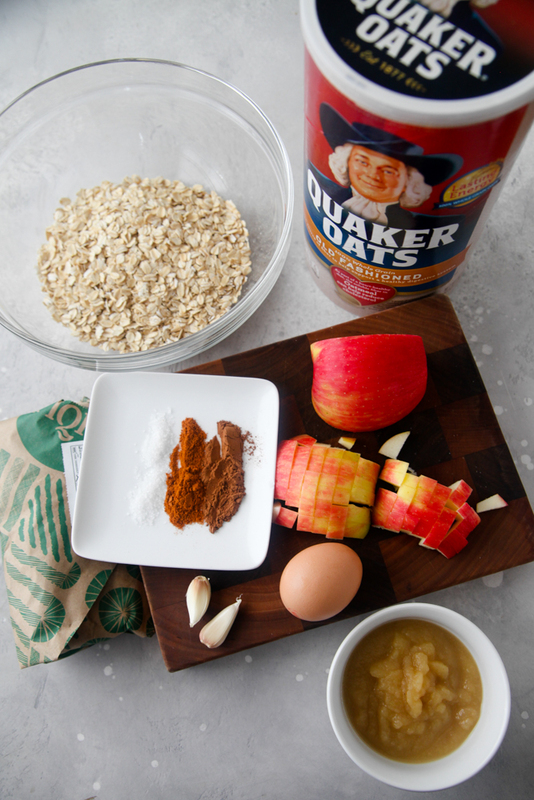 Thanks to Quaker Oats for sponsoring this post. 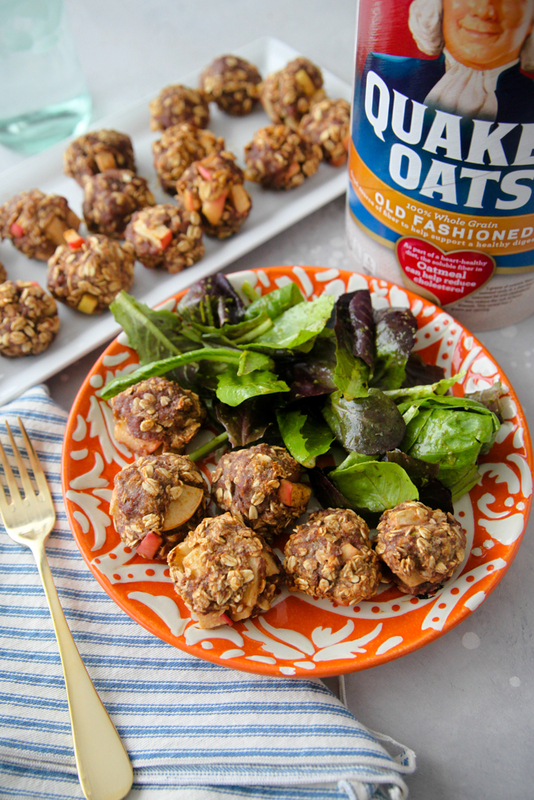 I always use oats in meatloaf so this seems like a no brainer! Love the addition of apples for fall. Wow, this would probably taste really good with ground turkey or chicken too! I love my KERF meatballs!! Can’t wait to try these. This sort of reminds me of the blood pudding that was served with breakfast everywhere we went in Ireland. It’s the only other context I’ve seen oats and meat mixed together. You used a very creative mix of flavors here! A lot of meatloaf recipes call for oats too. I’ve never heard of blood/black pudding, but it sure does seem like a typical UK recipe! 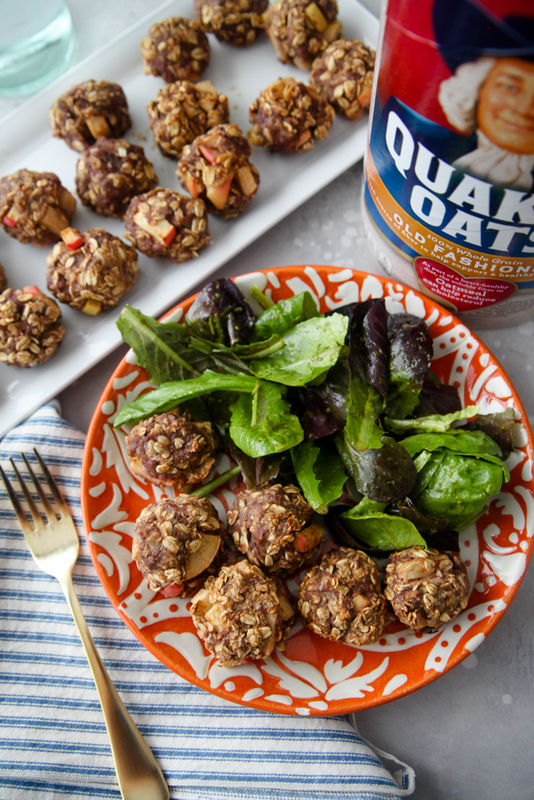 I always use quick oats in my meatballs & meatloaf (learned it from my MIL!). I wonder if the proportions are a bit off? I usually use much less oats and 2lbs of ground beef. I always soak the oats in the egg mixture and add a bit of milk as needed to soften them up too. Like a few other commenters have mentioned, I have used ground oats in my meatloaf, but I haven’t made meatballs quite like this. I *love* sweet and savory combos, so I cannot wait to try this recipe! Made these today since it seemed like a great football Sunday snack. While they were in the oven, the kitchen smelled like Thanksgiving. I had a hard time getting the meatballs to form. I thought it was probably the meat to oats ratio. Did this happen to you, too? I wasn’t a fan of the end result. I won’t be making these again. Mine turned out just like the pics. I’m sorry you didn’t have better luck. The oats to meat ratio seemed way off to me so I cut back a whole cup of oats and only used 1 cup. It was still hard to form them together but I was able to make it work. They were very tasty! My husband and I really enjoyed them. They were almost like muffins that tasted meaty which sounds weird but they were good. 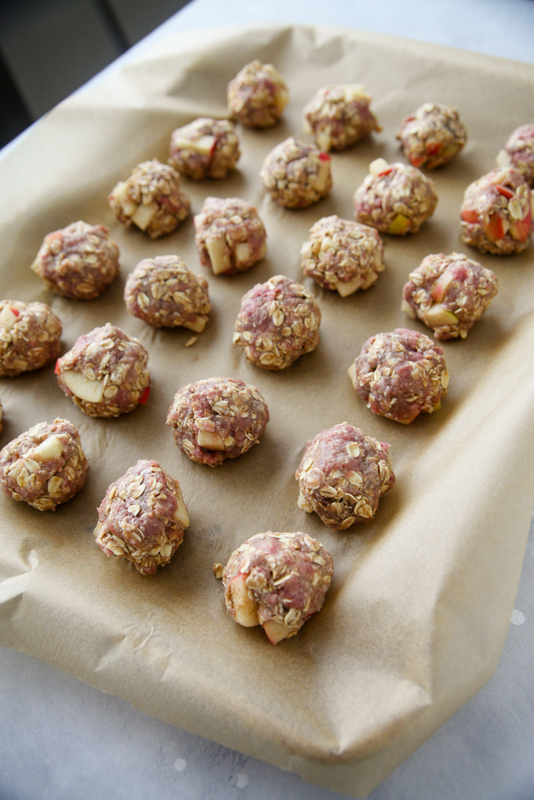 Overall, I’ll make these again but I just can’t see making it with 2 cups of oats. I just happened to stumble across your blog looking for new great recipes with oatmeal. You in meatballs to grab find great! Also, I have to say that you have really great pictures. One notices that you write with a lot of love. I will certainly come to your blog more often and try out your many great recipes.